Series SFLI Sureflo Lite Industrial Reverse Osmosis System from Excalibur Water Systems. Specifications in PDF format coming soon. SFLI Series Sureflo Commercial Reverse Osmosis Systems provide up to 33,000 gallons/day of filtered water, with maximum flow rates between 10 and 23 gallons/minute. There are seven models in the series, each providing filtered water at a different flow rate. Mounting frames for the SFC series are blue painted carbon steel; each unit comes equipped with a microprocessor-controlled booster pump, low feed pressure cutoff and an oil filled pressure gauge. 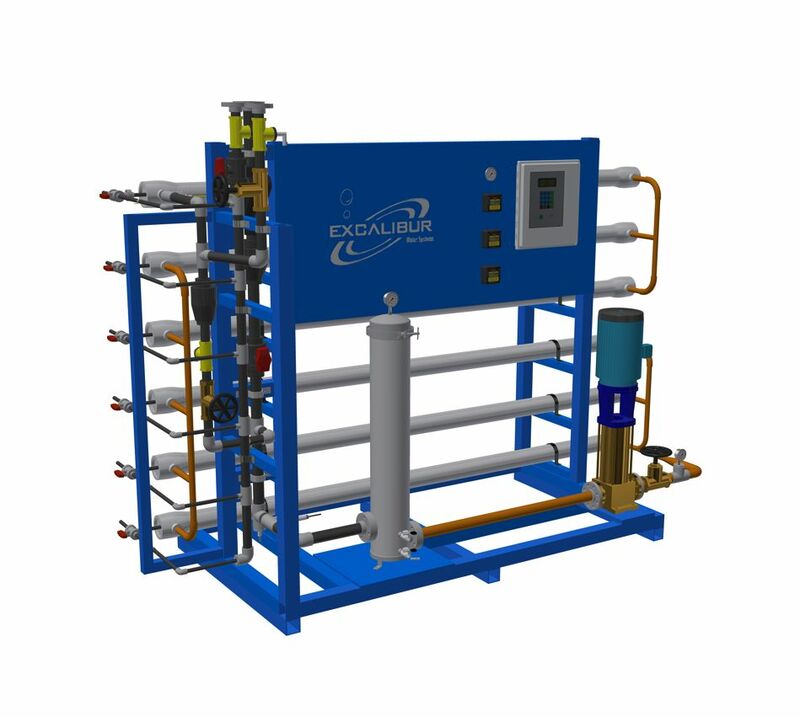 As with all of Excalibur's commercial/industrial reverse osmosis systems, there is an optional repressurization pump available for all units in the series. For more details on all units in the SFLI Series, click here.